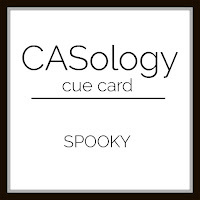 This week's CASology Cue Card is Spooky! This old A Muse Artstamps (now A Muse Studios) with the eyes is the spookiest stamp I have. I paired it up with another old stamp set (My Stamp Box Tall Solids Alpha) and a newer one from Clearly Besotted (Many Messages). These images are all pretty solid and my colours are intense. 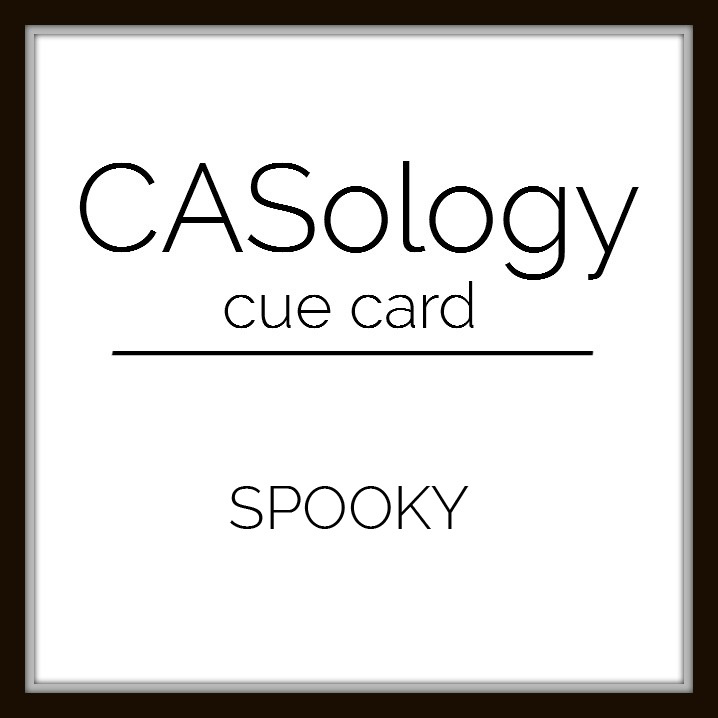 To keep the card CAS, I kept it as a one-layer card, didn't add any embellishments and maximized my white space. Layering the smaller sentiment over the larger one allowed me to keep my focal area to about 1/3 of the card. Now it's your turn! We can't wait for you to show us your spooky skills! Great CAS card Ardyth ! I love it ! I love your BOO, it is so effective ! Thanks for sharing. I love the spooky eyes and the huge BOO! Your design rocks! 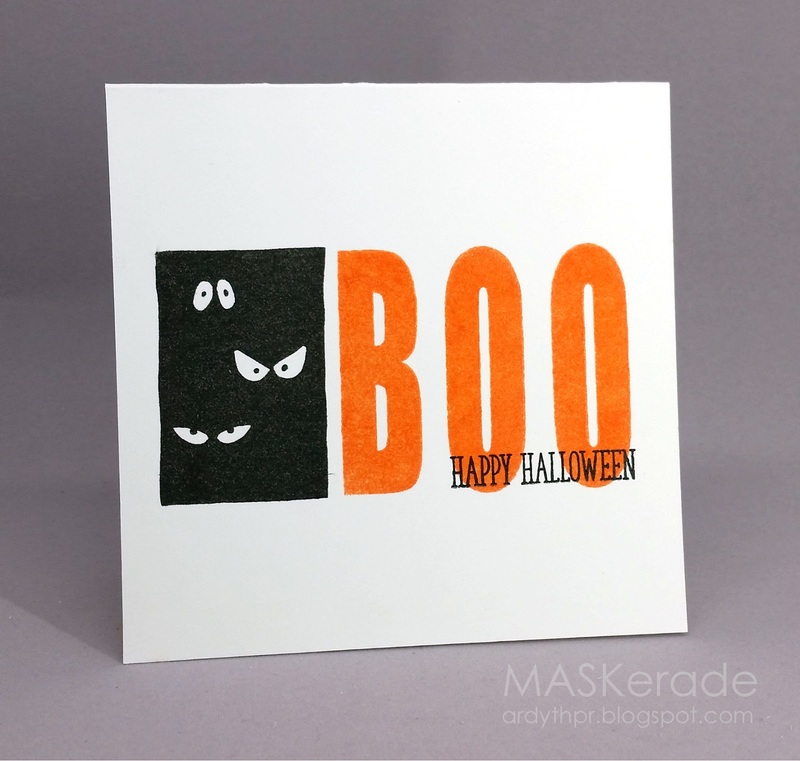 How perfect that the spooky stamp and your alphas are pretty much the same height! (Although I realize you may have masked a bit of the image stamp, but you would have told us, right?) :D What a fun card! Those eyes are so perfect and I love the layered sentiment! Eeek, those spooky eyes!! Very fun!! Love how you put this one together. Perfectly balanced, and those eyes are the best. Seeing eyes in the night like that is spooky indeed, Ardyth. Hey Ardyth!! I love your big sentiment and those eyes are fun. Nicely done.